Sweet summertime is here, in all its lemonade stand/frosé (frozen rosé, for the uninitiated)/backyard barbecue glory. And we are here for it. So as temps begin to climb sky-high in most parts of the country—making manual labor pretty darn unbearable—you’d be forgiven for putting off home maintenance work in favor of, well, anything else. But here’s the thing: As your mama no doubt told you, an ounce of prevention is worth a pound of cure—and there’s no time like the present. Read on for our experts’ top summer maintenance tips to keep your home running smoothly all season long. Summer is peak misery season for many allergy sufferers (you can thank ragweed, which covers a large swath of the U.S. by late in the season). And your soft furnishings—such as carpets, area rugs, and upholstery—trap allergens, making them prime culprits for summer sneezes. 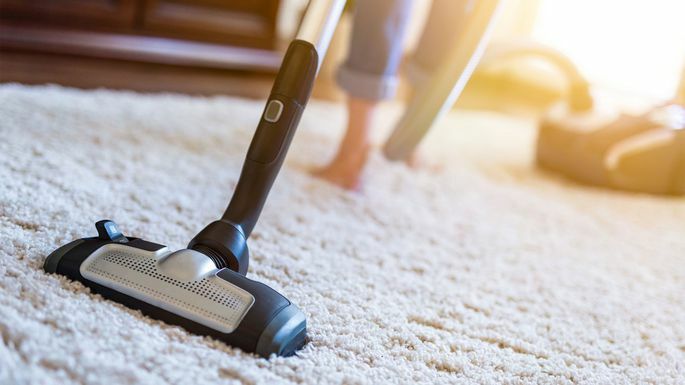 Depending on the amount of traffic in each room, your carpets should be deep-cleaned every six to 12 months, according to carpet cleaning company Chem-Dry. DIY: Start by vacuuming more frequently; use a machine with a three-stage HEPA (high-efficiency particulate air) filter. Unlike traditional vacuums, which expel dust and allergens back into the room as you clean, those with HEPA filters are designed to trap 99.7% of small particles. If you choose to deep-clean yourself, look for a machine specifically designed for the task. Call in the pros: Most carpet cleaning companies will charge you per room or per square foot. Prices vary, but the national average is around $175. DIY: If you have a gas grill, turn up the heat and leave it on for about an hour. Once it’s cooled, give the unit a good scrubbing with a bristle-free brush or balled-up aluminum foil (a fave trick of Merrill’s). 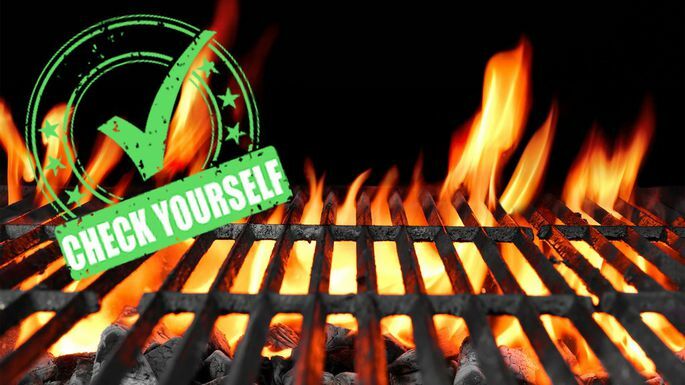 For charcoal grills, empty any remaining charcoal and use a brush to scrape off caked-on gunk. Then use a hot, soapy sponge to wipe it clean. 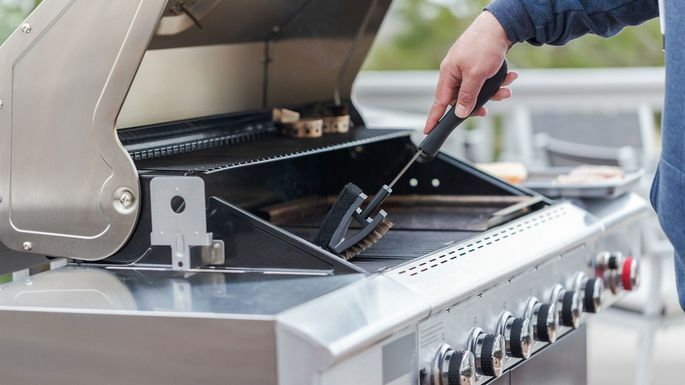 Call in the pros: If your gas grill has a mechanical issue, expect to spend $150 to $330 for repairs. Thankfully, a little love can go a long way. DIY: Sweep and scrub any porches, patios, and decks around your property. Use a putty knife to clear out cracks, crevices, and spaces between boards, Merrill advises. And for extra credit, apply a fresh layer of stain or sealer. Be sure to hammer down any nailheads that aren’t flush with the deck surface. Call in the pros: Turner estimates that 60% of the decks she inspects are not constructed correctly. If you suspect you’re on shaky ground, hire a licensed contractor. Prices vary, but the national average for a basic deck repair is around $1,500. With spring’s rains in the rearview, it’s time to give your windows a thorough cleaning. And be sure to tackle your blinds, which can harbor spores and allergens. DIY: Grab a squeegee, a damp chamois, and a bucket of warm water with dish soap to tackle reachable windows yourself. Here’s a cool trick from Chip Smith, chief marketing officer at Sears Home Services: Wrap rags around a pair of tongs, and secure them with rubber bands. Then clamp the tongs onto each individual blind and drag them across to pick up dust. Call in the pros: The cost of a professional window scrub will vary depending on location and how many windows you want cleaned, but expect to spend roughly $150 to $300. With everyone on the go, summer’s the perfect season for crimes of opportunity. Give burglars the boot by ensuring your pad is protected. 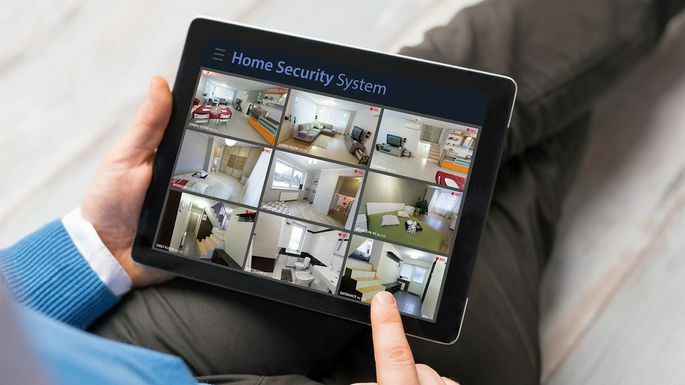 Call in the pros: If your home has been burglarized before, or if you’re just plain worried about it, consider having a pro install an alarm system. Costs vary depending on the level of security you want, but there are no-frills options for as low as $199. Keep your fridge running smoothly all summer long by giving it a little TLC. DIY: Use a coil brush or vacuum attachment to clean your refrigerator’s condenser coils, which can be sneaky repositories of dirt, pet hair, and food remnants. “Dirty coils result in the refrigerator having to work harder to cool, often resulting in expensive repairs,” Smith says. Then use a mild cleanser (or good ol’ dish detergent and water) to wipe down your unit’s interior surfaces and remove any caked-on ickiness. Call in the pros: Depending on what’s going on with your unit, a professional repair could cost anywhere from $100 to $200 an hour. In many parts of the U.S., the summer months are driest—and a lack of rain can turn your green lawn brown (and weedy) fast. “Weeds tend to move in when plants are stressed from drought and heat, and steal moisture and nutrients—adding even more stress to your plants and lawn,” says Keven Shanks, manager of retailer training at Scotts Miracle-Gro. DIY: Lay a 3-inch layer of mulch around trees and gardens to block weed growth and lock in moisture. When it comes to mowing your lawn, make sure not to cut too short—higher grass helps crowd out weeds. Then, understand how and when to water. An inch of water a week should keep your lawn green during the hot summer, Shanks says—just be sure to water as early in the morning as possible. Call in the pros: If watering isn’t your bag, professional sprinkler installation can cut some of the guesswork. Expect to spend $3,000 to $4,000 for installation on a quarter-acre lot.